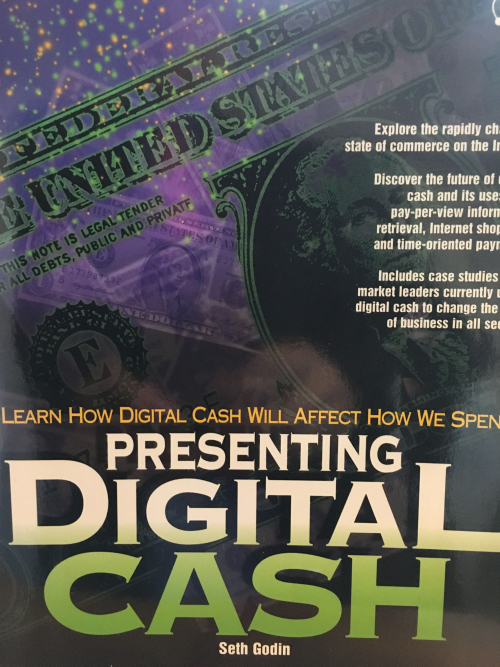 In 1995, my book packaging company published one of its last titles, an anachronism called, Presenting Digital Cash. It was the first book on digital cash ever aimed at a mass audience. And it was ahead of its time, selling (fortunately) very few copies. The examples in the book were current, but it was soon outdated. (The foreword was written by Neal Stephenson—someone who is ahead of his time for a living). Thirteen long years later, Bitcoin was introduced to the world. I didn't invent it, even though I'd written about digital cash more than a decade before. I'd created an entire book about digital cash, and thought about it deeply for months. Except I didn't buy 1,000 dollars worth of Bitcoin in 2008. If I had, I'd have more than $40,000,000 today. It's not that I didn't know. It's that I didn't act. I knew, but I didn't know for sure. Not enough to act. All the good stuff happens when we act even if we don't know for sure.